Civil Aviation is a highly regulated and respected industry controlled by National Aviation Authorities. 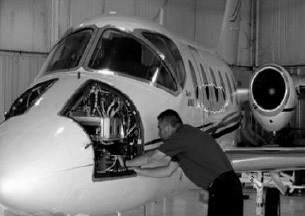 To maintain the enviable safety standards that have been established, people working with Aircraft Maintenance industry must be licensed. The CAA regulates licensing and approval of active professional such as pilots, air traffic controllers, aircraft technician and engineers. 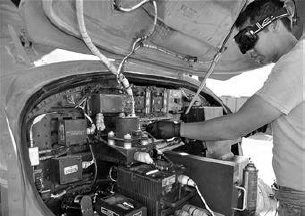 In other words, engineers are trained and licensed to maintain & certify the line & base maintenance work that has been carried out on an aircraft and return it to service. 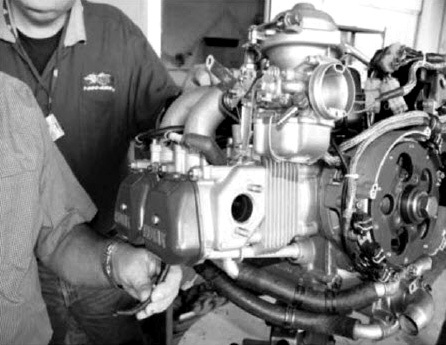 To become licensed aircraft engineer the EASA, CAA, U.K. has two requirements. Basic knowledge lvels for each category license have been allocated relating to the complexity of certifications appropriate to the particular license. Category B1 applicant must demonstrate an adequate level of knowledge in the required subjects at a pass mark of 75% on the Exam conducted by EASA PART - 147 Approved Training Organization. In addition to the multi-choice question paper relating to appropriate level and modules required, an essay paper must be taken. 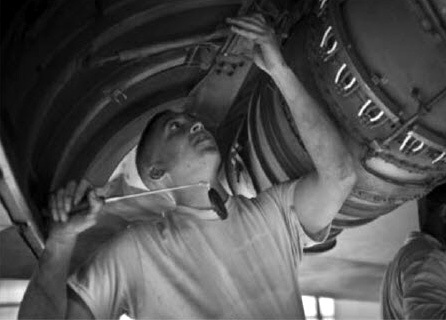 The essay paper will comprise questions drawn from the syllabus subjects covering Maintenance Practices (Module 7), Human Factors (Module 9) and Aviation Legislation (Module 10). 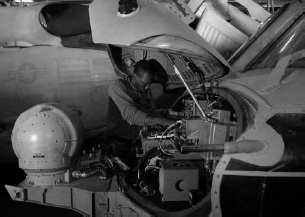 Category B1 applicants should have five years practical maintenance experience on operating aircraft. All applicants must meet work experience requirements. Experience claimed towarads a Part-66 license must meet the standards of Part-145 and must be correctly authenticated in a manner acceptable to the CAA. 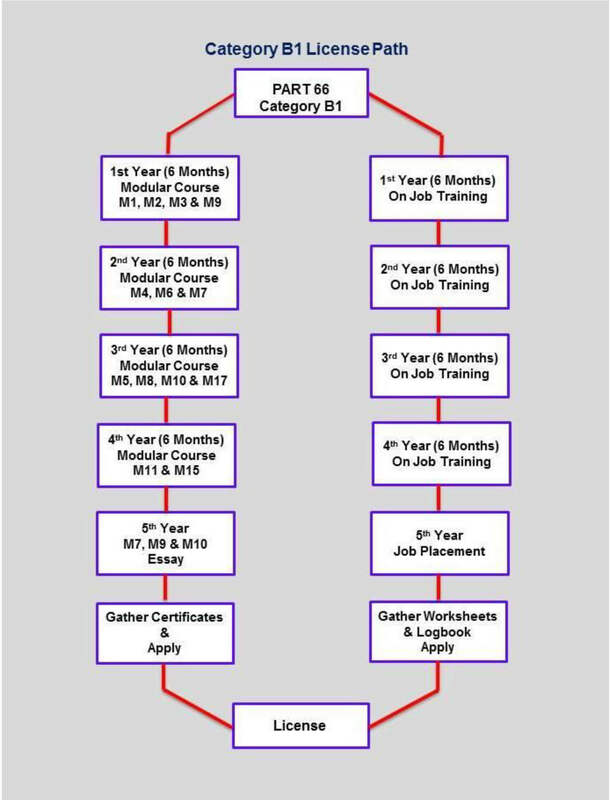 Complete thirteen modules and gain five years of practical work experience. Permits License holder to issue certificates of release to service following the scheduled line maintenance and defect rectification within the limits of tasks specifically endorsed on the authorization.